This here is an image of how Nostradamus visualized India a country which did not exist in his time. Nostradamus called India a new Republic and also the place of the religion named after the sea. He also refers to the three water bodies of the Indian Ocean, the Arabian Sea and the Bay of Bengal in his Prophecies on INDIA and also on Kalki Avatar. 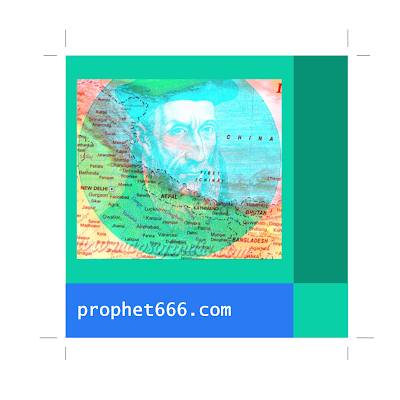 Nostradamus wrote the Prophecies in a trance like state, this state was an unintentional state of Non Duality.